A receding hairline or thinning hair leads many patients to wonder what is causing their hair loss. While the problem is not new, the technology behind diagnosing and treating the underlying causes of hair loss is. At True and Dorin Medical Group in New York, NY, Drs. Robert True and Robert Dorin utilize the most effective hair transplant technology and medical hair loss treatments available to help patients gain the results they want. Beyond providing treatments, our doctors and staff want you to know which habits can cause hair loss. 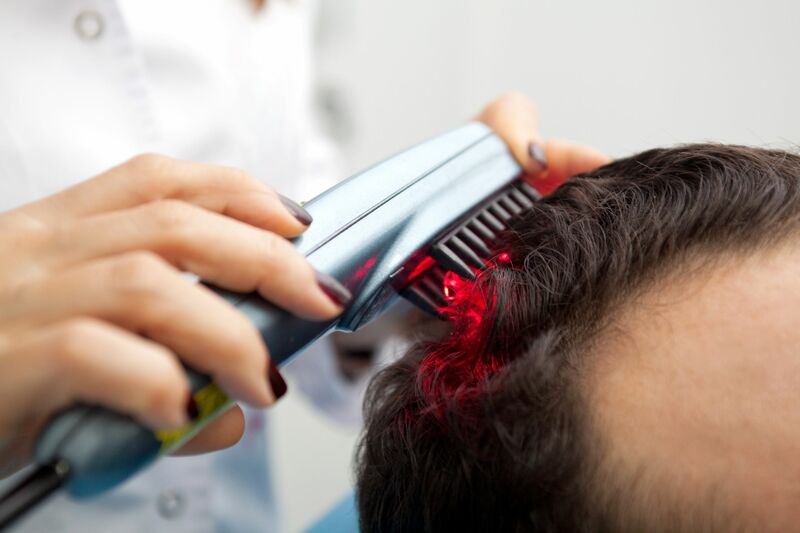 Reduce blood flow to the small blood vessels, many of which are located in the head and scalp. Affect liver function, and thereby the regulation of the hormones that control hair growth. Clog the pores on the scalp, making hair growth more difficult. Adversely affect the growth of transplanted grafts. Overdoing hot oil treatments or overapplying chemical products can damage the hair follicles. Try scaling back on hair treatments to see if it improves your hair growth and thickness. Hairstyles like cornrows and pigtails, if pulled too tightly, can lead to a type of hair loss called traction alopecia. Don’t let your efforts to thin your waistline inadvertently thin your hairline too. Proper nutrition, including adequate daily calorie intake, are necessary for healthy hair. The same sun-related factors that damage skin can damage your hair too. The results may not lead to permanent hair loss, but overexposure to the sun can make the hair appear thinner, and it makes it more prone to breaking. Wearing a hat is one simple way to reduce sun exposure. Age and genetics are the leading causes of baldness in men and women. Approximately 40 percent of men suffer from visible hair loss by the age of 35. By age 60, the percentage jumps to 65. By age 80, 80 percent of men will experience male pattern balding. Part of the connection between age and hair retention is tied to hormonal fluctuations that occur with advanced age. In addition, hair follicles naturally thin with age, adding to the appearing of hair loss over time. Drs. True and Dorin offer several treatment options. Follicular unit transplantation (FUT) removes hair-bearing tissue from a donor area and transplants it to where it’s most needed. Follicular unit extraction (FUE) involves the extraction of individual follicular units. We also offer non-surgical and medical therapy treatments. Hair loss is not an inevitable reality that you have to live with. Whether caused by illness, medications, genetics, or age, our doctors have the expertise to restore your full head of hair. Our respected clinic has more than two decades in the field of hair loss treatment and hair transplantation. To learn what might be causing your hair thinning or hair loss, contact our office online or call (212) 826-2525.